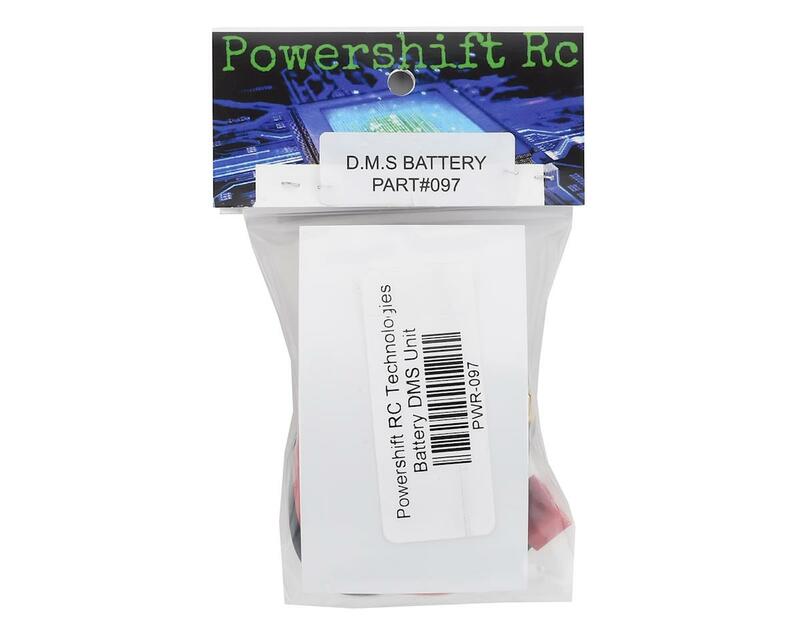 The Powershift Battery DMS Unit is a unique component that offers the functionality of a power switch, combined with the added details of a scale accessory that allows you to power up or power off your rig without removing the body! 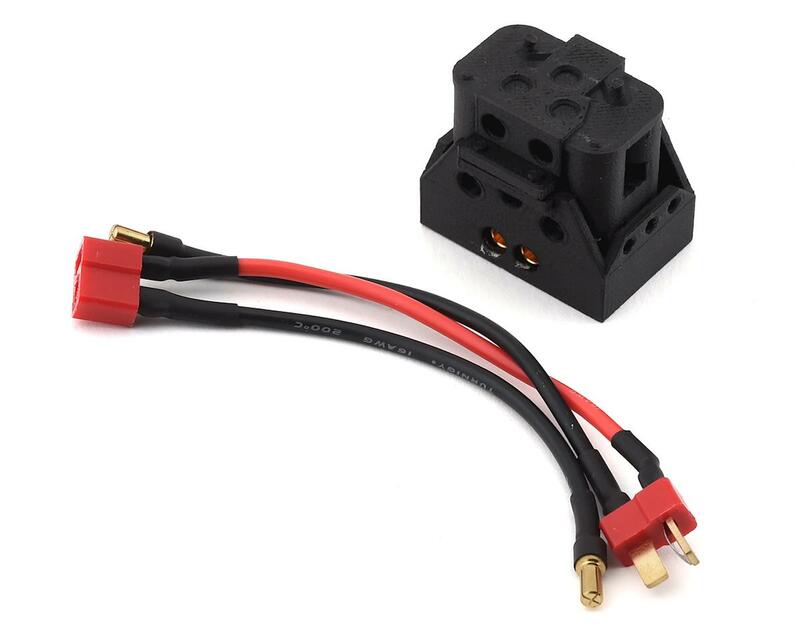 The Made in the USA system consists of two primary pieces - the base that the included power leads connect to, and an upper half that completes the circuit when attached. Rare earth magnets in the base and upper half join the two halves together securely, and prevent the unit from being pulled apart unexpectedly. This is an great option for builds with hard to reach batteries, or difficult to remove bodies. Plus, the system is tailor made for competition, where you may have to wait for your turn to run, but don't want to leave your battery plugged in while you wait. This is also a great option for builders that want to add scale details, while at the same time adding a greater level of functionality to their rigs. Installation is simple! 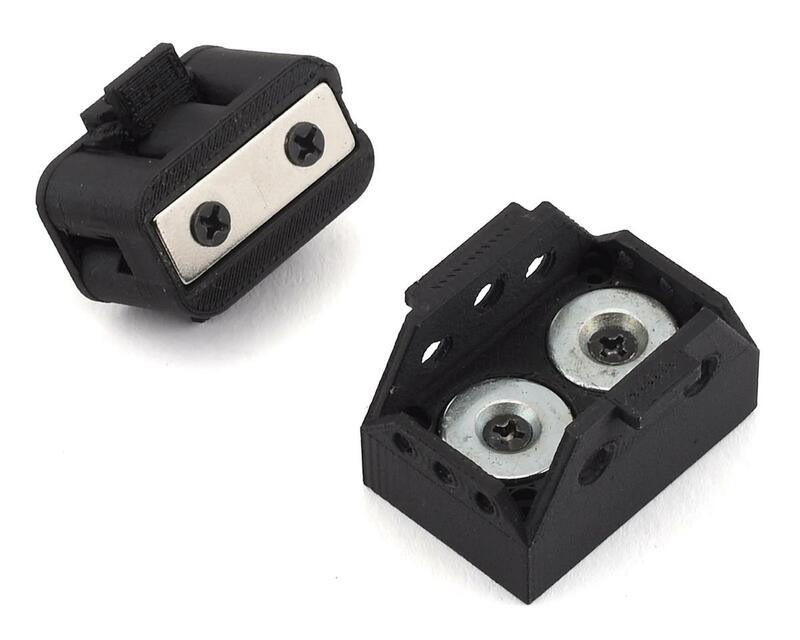 Plug the included adapter cable into your ESC, and plug the bullet connectors into the base of the DMS Unit. When you plug your battery into the open male end of the adapter cable, the system is ready for use! The 3D printed portion of the unit can be detailed and painted using your favorite plastic model paint and the base can be secured with your preferred adhesive. Package includes upper and lower DMS switch units, and an adapter cable that plugs in between your ESC and your battery. NOTE: D.M.S. Units are proven 3S compatible. Do not use the D.M.S. Unit with batteries larger than 3S.